Savour a delicious Lemon Tart. Fruity and creamy! Find the taste of this famous Strawberry Candy, acidic and sweet for your tastebuds. Bring a touch of Vanilla to your DIY preparation, this Mac Diyer is confectioned just for you! Complete authenticity of a homemade Strawberry Jam. A Banana Candy Flavour? You have dreamed about it, Mac Diyer has done it ! For lovers of fruity candy, add flavour to your DIY preparation ! This very well known Caramel Bar well known for its form in your DIY preparations ! Put a little bit of delicious Popcorn in your DIY preparations and make it even more gourmet ! This shelled fruit Pecan Nut which you can add to your DIY preparation ! Simply delicious! Appreciate a good flavour of Aniseed for your Mac Diyer Concentrate ! Appreciate the taste of Coffee with this Cappuccino Concentrate Mac Diyer ! Appreciate the taste of a Liquorice with your Mac Diyer Concentrate ! Appreciate a Hazelnut Cream with your Mac Diyer Concentrate! Savour an excellent Cream Pastry for your Mac Diyer Concentrate ! Caramel concentrated aroma of the brand Revolute. Produced in France by Nicoflash. The legendary Crunch Time with crusty cereal and marshmallows, accompanied with lightly sweet Blueberries! Its Gourmet! The Legendary Crunch Time with crusty cereal and marshmallow flavour , this time with light and unctuous Peanut Butter. 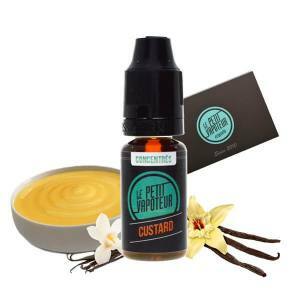 The most famous of all Custards to be mixed in a PG/VG Base. The Goose is a must for lovers of Custard. Concentrated Apple Pie aroma of the brand Revolute in 10 ml. Produced in France by Nicoflash. Concentrated Chewing Gum aroma of the brand Revolute in 10 ml. Produced in France by Nicoflash. Concentrated Vanilla aroma of the brand Revolute in 10 ml. Produced in France by Nicoflash. English Custard Flavour Shot by Nom Nomz is the ultimate Custard. A perfect Vanilla flavour which you will adore. Sweet Tropical Cereal. With Tiki Rings, this is the pleasure of Breakfast at all hours. A delicious creamy, sweet and unctuous Queso Flan. With the Ladybug touch which makes all the difference. A very beautiful Cinnamon Pastry Flavour. The Cinnamon Danish is also compared to a Graham Cracker, Sweet with Milk. Vanilla Custard, like the famous traditional Filipino dessert Brazo de Mercedes: A Creamy Biscuit without calories. It is the time for tasting. 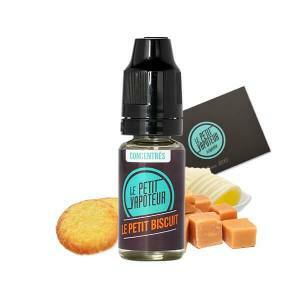 Quickly try this Concentrate Ifrit V2 with delicious Aromas and Apple Donuts. Here is the Chef's recipe associating a Vanilla Cream Custard with Coconut Biscuit. A delice! Concentrated Aniseed Aroma of the brand Revolute in 10 ml. Produced in France by Nicoflash. Concentrated Hazelnut Aroma of the brand Revolute in 10 ml. Produced in France by Nicoflash. A Vanilla Ice Cream mixed with Cereal, Cinnamon, Coconut with Almonds. A gourmet hit which needs to be urgently tested. A gourmet custard with a Vanilla base, Cereal like Cornflakes. The best-seller by Revolute. A magic Strawberry Candy. 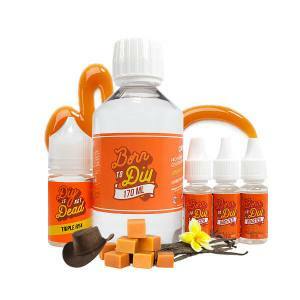 To be vaped on its own or with other aromas / additives of your choice. A "Chewing Malabar" aroma to be used on its own or to compose your own proper recipes. A Whipped Cream Cookie Aroma. A mixture of elegant creamy Coffee with notes of Caramel and Hazelnut. A surprising Strawberry Jam with soft Caramel flavours... Very Gourmet...! Soft exotic fruits with notes of Fresh Green Almonds! A Gummy clear texture, soft and sweet which will remind you of the Teddy Bear Shaped Candy. Alone or with a composition, this Rich Butter and Grilled Pecan Nut should definitely please you. Biscuits straight out of the oven. Soft and perfumed with Butter, deliciously crunchy. Alone or for a hot pastry recipe just straight out of the oven, Cinnamon and Brown Sugar. For amateurs of Fruity Cereal. This Fruity Loops in the morning are crunchy and mixed with fresh Milk. A rich and complex Lemon Meringue Tart recipe. Shortcrust Pastry, and Lemon Cream with unctuous Meringue. Rediscover the small Pastry with sweet unctuous Raspberry. Gaufrette range from Cloud's of Lolo. Rediscover the Praline Waffle with Almonds chips. Gaufrette range from Cloud's of Lolo. A Cotton Candy of Pear and Green Apple Acidity, with Blue Raspberries and Lime.. All in the programme. An exotic cocktail of Pineapple, Juicy Peach and Pulp of Andalouse Grenade enhanced with Cream of Coconut Milk. Cinnamon, Vanilla, Cream Pastry Biscuit. Gourmets will know without a doubt this famous Danish Cinnamon Cake. On a fine crunchy waffle, with Chocolate Milk, and in the inside a creamy heart of melting Hazelnut. The XIII is a Creamy Coffee, added with a hint of Fresh Hazelnut for your greatest pleasure. A complete and natural Peanut, drowned in a Caramel Coulis and Milk Chocolate.